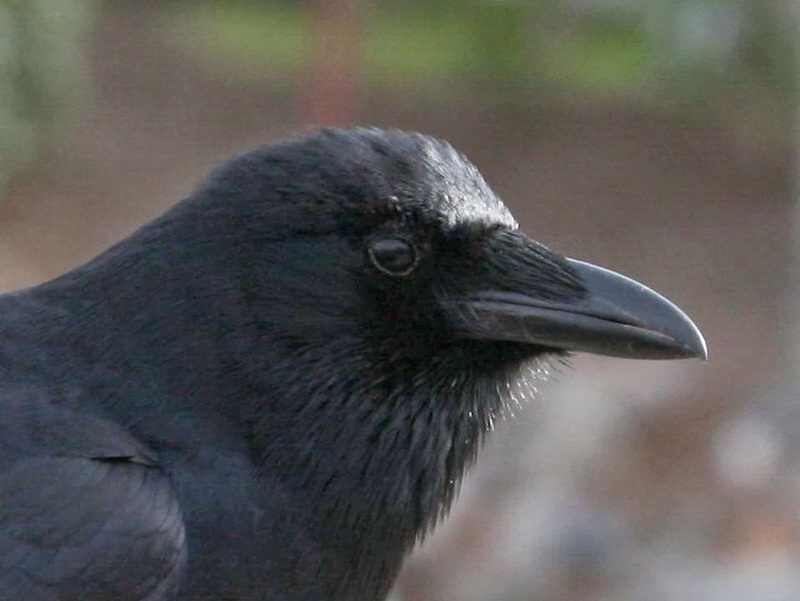 The super-intelligent American Crow has been crowned our December 2013 bird in our 12 Months of Birding at the Inn series on the blog. 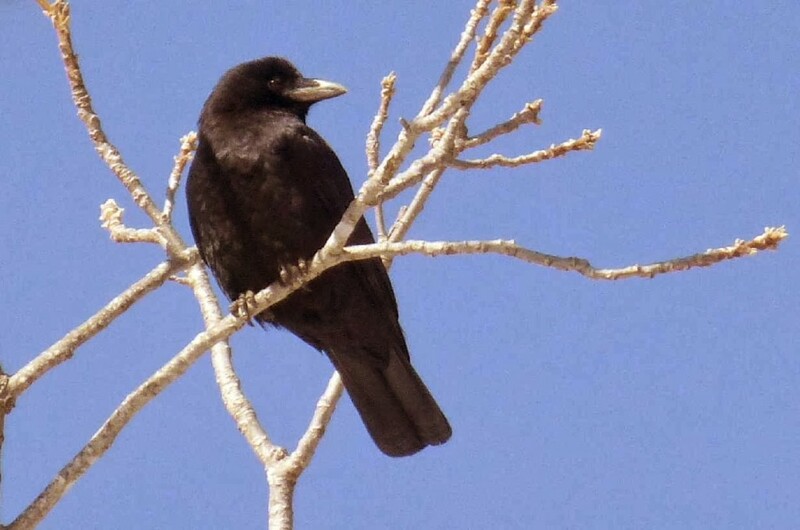 If you live in the continental U.S. (with the exception of the desert southwest) or Canada, you are likely familiar with this large member of the Corvidae family. The American Crow is a short-distance migratory bird, which means the crows you may see every day consider your backyard their home territory. According to the Cornell Lab of Ornithology, the American Crow sometimes lives a “double life” in certain areas — maintaining a year-round residence for itself and its extended family, while spending much of the year hanging out and foraging with its friends in a large flock in fields and pastures and other places. American Crows have a diverse diet, which includes seeds, nuts, fruit and berries, insects, mice, fish and carrion. They’ll also eat other birds’ eggs. And anyone who has left his or her garbage outside (guilty as charged!) is probably aware that the American Crow will eat that, too. As mentioned above, the American Crow is very smart, adaptable, crafty and resourceful. It can make and use tools, such as shaping wood and sticking it into a hole to search for food, notes the Cornell Lab of Ornithology. The high-IQ crows at the Inn on Mill Creek figured out how to get the seed out of one of the feeders a few years ago: three crows would take turns taking the hanging wire in their beaks and shaking the small feeder sideways until all the seed dropped onto the ground. in large masses to roost for the winter. You can often hear the young crows learning from older crows in the Inn on Mill Creek’s orchard in the springtime.